On August 29, 2005, Hurricane Katrina made landfall on the Gulf Coast. What happened next was more than just a natural disaster — especially in New Orleans, where the failure of the city’s levees unleashed flooding that left roughly 80 percent of the city underwater. In all, more than 1,800 people died either during the storm or in the famously bungled aftermath — which saw local, state, and federal officials uncoordinated and overwhelmed. More than 1 million others in the Gulf region were displaced. Explore three different FRONTLINE documentaries about the disaster, its lingering aftermath and the lessons learned. 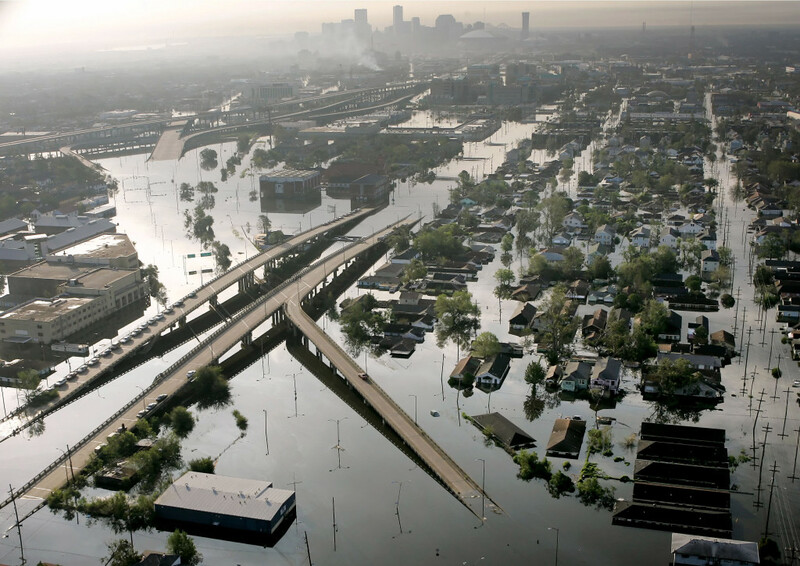 Watch it: To understand what went wrong in the government’s response to Katrina. In the first few hours after Katrina hit, many people believed that New Orleans had dodged a bullet. In fact, at the headquarters of the Louisiana National Guard, located in the Lower Ninth Ward, soldiers were not yet aware that the levees were giving way. “I spoke to an airman [over the phone] … he told me that it had rained very little and there was just — except for just a few puddles of water in the parking lot, there just was no water,” the guard’s commander, Maj. Gen. Bennett Landreneau, who was monitoring the situation from Baton Rouge, recalled in an interview with FRONTLINE. Then, the airman hesitated a minute, and asked Landreneau to hold. Ultimately, more than 300 soldiers would be trapped inside their own headquarters. They lost power. Their back-up generators flooded. Their communications center was useless. They lost 15 high-water trucks with mobile communications packages. And the guard unit spent most of the next 24 hours saving itself. That’s just one of the chain of catastrophes at the local, state and national level brought to vivid life in FRONTLINE’s Emmy Award-winning 2005 documentary The Storm. The film — a raw and gripping investigation of the Katrina response, its tragic consequences and its political ramifications — includes candid interviews with key Katrina decision-makers, including the first televised interview with former FEMA Director Michael Brown since his resignation two weeks after Katrina hit. Watch it: For a powerful story of resilience and determination in the face of tragedy. After Hurricanes Katrina and Rita devastated the Gulf Coast, Congress appropriated an unprecedented $126.4 billion for relief, recovery and rebuilding efforts. Years later, much of the money committed to New Orleans residents had yet to reach them. But one man— then-82-year-old Herbert Gettridge — was determined to rebuild the house he had built more than 50 years earlier in the Lower Ninth Ward, with or without government support. FRONTLINE’s documentary The Old Man and the Storm followed Gettridge for 18 months as he worked to rebuild his home, which took on 10 feet of water when the levees breached. His goal: To make it possible for his wife of 65 years, Lydia — who had gone to live with one of their nine children in Wisconsin after Katrina — to return home. “I talk to her every other day, and that’s her main question — ‘How long is it going to be? '” Gettridge told FRONTLINE. Gettridge, a fifth generation New Orleanian, would go on to die from a heart attack in 2014 at the age of 91 at the home he had successfully rebuilt. His death came nearly two years to the day after his wife’s passing. Watch it: To learn about questionable police shootings and cover-ups in Katrina’s wake. Henry Glover was last seen alive in the backseat of a white Chevy Malibu on Sept. 2, 2005, days after Katrina hit. He had been shot by a rookie police officer while walking through the parking lot of a run-down strip mall, and his brother had brought Glover — who was curled up and bleeding from a gunshot wound to the chest — to a temporary SWAT compound seeking medical attention. Instead, officers at the compound arrested Glover. Later, his charred remains were discovered on the banks of the Mississippi River, inside a car that had apparently been set on fire. Five officers were ultimately indicted: one for the shooting, and four additional officers on charges related to burning Glover’s body and obstructing a federal investigation. 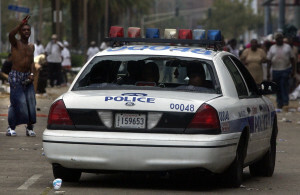 With Glover’s story as a jumping-off point, FRONTLINE partnered with the Times-Picayune and ProPublica in 2010 to investigate six questionable shootings by police — revealing that, in the midst of post-Katrina chaos, law-enforcement commanders issued orders to ignore long-established rules governing the use of deadly force. In one notorious incident known as the Danziger Bridge case, police opened fire on a group of civilians, who were later found to be unarmed and searching for food and medicine. Four were wounded, and 17-year-old James Brisette and 40-year-old Ronald Madison were killed. But prosecutors struggled to hold officers accountable. In 2015, a federal court ordered a new trial for five officers convicted of the Danziger Bridge shootings, upholding an earlier ruling that prosecutors’ conduct had deprived the officers of a fair trial. In a 2016 plea deal, the officers pleaded guilty and received lesser sentences. The federal Glover civil rights case was settled in 2016. 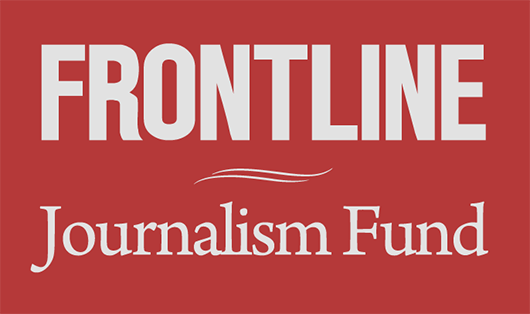 These three documentaries — and 200+ others — are all streaming online at pbs.org/frontline.